The 1956 Hungarian Uprising, often referred to as the 1956 Hungarian Revolution, is considered by many as the nation's greatest tragedy. The Uprising was an almost spontaneous revolt by the Hungarian people against the ruling Communist Party of the time and the Soviet policies which were crippling post-war Hungary. It comprised of several major events, beginning with a student protest on 23rd October in Budapest and ending with a proclamation by Soviet-backed Janos Kadar on 11th November that he had crushed the Uprising. Around 2,500 Hungarians died in the course of the Revolution. 200,000 fled to the West in the aftermath of the struggle. After World War II, Russian troops still occupied Hungary and they had no plans of going anywhere as Stalin sought to extend his sphere of influence as far and wide as possible. In 1949 the Hungarians were coerced into signing a mutual assistance treaty with the Soviet Union, granting them rights to a continued military presence and thereby assuring ultimate political control. Gradually power was transferred from the freely elected Hungarian government Independent Small Holders Party to the Soviet-backed Hungarian Socialist Workers' Party led by the sinister Matyas Rakosi. A man of Stalin's ilk, Rakosi began an authoritarian regime over Hungary and set about communising the country and purging the nation of dissidents, arresting or executing his political opponents. Meanwhile his mishandling of the economy led to drastic falls in the quality of life for virtually every Hungarian. Things got better in 1953 with the death of Stalin, when the far more liberal Imre Nagy took over as prime minister. Unfortunately Rakosi was able to hold onto a decent slice of political power as General Secretary of the Hungarian Workers Party. As Nagy set about releasing anti-Communists from jail and removing state control of the media, Rakosi campaigned against him, eventually managing to discredit him and have him voted down from his post. Rakosi once more became the nation's leading politician only to be forced from power when Nikita Khrushchev (who had succeeded Stalin in the Kremlin in Moscow) made a speech denouncing Stalin and his followers. Before he stepped down however Rakosi secured the appointment of his close friend Erno Gero as the new General Secretary. The scene was still ripe for unrest. It turned out that events in Poland were the trigger for the Hungarian Revolution. After workers in Poznan had staged mass protests earlier in June 1956 (which although they were violently put down by government forces, worried the Soviets in Moscow), Wladyslaw Gomulka has managed to negotiate wider autonomy and liberalization for Poland. [The year before Austria had managed to declare itself neutral and avoid joining the Warsaw Pact]. There was hope by many Hungarians that something similar could be achieved for Hungary, and when students of the Technical University (who had become a strong political voice) heard that the Hungarian Writers Union planned to lay a wreath at the statue of Polish-born General Bem to express solidarity with pro-reform movements in Poland, they decided to join them. So it was that in the afternoon of 23rd October 1956 fifty thousand people gathered at the statue of General Bem. It was to those assembled that Peter Veres of the Hungarian Writers Union read out a proclamation of independence, to which the Techies added a sixteen point resolution demanding everything from the withdrawal of Soviet troops from the country to the right to sell their uranium deposits on the free market. National songs and mantras were sung, and the communist coat of arms was torn from the Hungarian flag. After this the crowd marched across the Danube to demonstrate outside the Hungarian Parliament. By 6pm, 200,000 people had gathered and the mood was spirited but peaceful. However, at 8pm Erno Gero broadcast a speech dismissing the demands of the Writers' Union and the students and labelling the crowds a 'reactionary mob'. This uncompromising stance prompted the Hungarian people to take things into their own hands and so they carried out one of their demands of the sixteen point resolution, tearing down the statue of Stalin which had been erected in 1951. Afterwards a large portion of the crowd marched upon the Radio Budapest building in order to broadcast their demands on air to the nation. However, the AVH (Hungarian Secret Police) were guarding the radio station, and they barricaded the building. As the situation escalated the crowds grew more unruly and attempted to take the station by storm, which is when the first casualties of the Hungarian Revolution fell... The AVH opened fire on the crowd. This cold-blooded killing provoked a full scale riot, in which Hungarian soldiers sided with the people against the AVH. Police cars were set on fire, weapons were seized and Communist symbols were torn down and vandalised. That night Erno Gero called on military intervention from the Soviet Union to suppress the uprising. 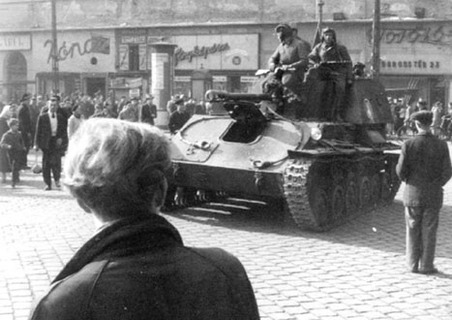 Around 2am on the 24th October the first Soviet tanks rolled into Budapest and took up positions outside the parliament building. Meanwhile Soviet troops took up key positions in the city. They met pockets of armed resistance as revolutionaries erected barricades and sporadic violence ensued. Imre Nagy was re-appointed as prime minister in the hope that the populace would be appeased, and Nagy called an end to the violence with promises to push ahead with reforms. However, when a Soviet tank fired upon unarmed protesters in Parliament Square on the 25th October the fighting escalated. Erno Gero was forced to resign as First Secretary, with Janos Kadar replacing him. The Soviet troops and their AVH cohorts continued to fight against the revolutionaries until the 28th October, when the Soviets retreated from the city. Nagy offered an amnesty to all involved in the violence, promised to abolish the AVH, released political prisoners and made clear his intention that Hungary had cut free from the Warsaw Pact. The mood was defiantly optimistic. For a short while it seemed that Nagy was going to be able to achieve the Hungarian people's wishes for a neutral, multi-party nation. The Soviet Union's new leader Khrushchev was no Joseph Stalin, and the matter of Hungary's independence was much debated in Moscow, with much consideration given to negotiating the withdrawal of troops from the country. However, with the Cold War in full freeze there were other factors to consider: "If we depart from Hungary, it will give a great boost to the Americans, English, and French ? the imperialists." The Soviet Union couldn't afford to lose ground in the power struggle of ideologies. The order was given to invade. The second Soviet intervention left no one guessing their intentions. In the early hours of the morning of the 24th an estimated 1,000 tanks rolled into Budapest, destroying the fierce but uncoordinated resistance of the Hungarian Army to occupy the key positions in the city. Imre Nagy made his final broadcast to the world at 0515 in the morning, appealing for international help (however Western powers were far more concerned at the time with the Suez Crisis). Less than an hour later and Janos Kadar, in league with Moscow, proclaimed himself head of a new "Hungarian Revolutionary Worker-Peasant Government". He declared that he was calling on Soviet help to put down a counter-revolution that was financed by the Imperialistic western powers, and to restore order. This 'restoration of order' was backed up by heavy artillery and air strikes as Budapest became embroiled in a bloody battle. Civilians bore the brunt of the casualties as Soviet troops were often unable to distinguish between citizen and freedom fighter, often firing indiscriminately at people and buildings. It was only a matter of time before the far better organised and better equipped Soviet forces crushed the revolution. By November 10th the fighting had all but ended and on the 11th Kadar declared that the uprising had been crushed. 2,500 Hungarians had died, with another 13,000 injured. Over seven hundred Soviet soldiers also gave up their lives, some being executed for refusing to fight. Hungary's suffering didn't end with the crushing of the uprising. Recriminations followed with tens of thousands of Hungarians arrested, imprisoned and deported to the Soviet Union, often without evidence. An estimated 350 were executed, including Imre Nagy after his eventual arrest in 1958. Meanwhile 200,000 people fled Hungary, either fearing for their lives or simply to escape from the Communist regime - many of them were Hungary's best educated people. However, despite seeming to sell out to the Soviets, Kadar proved to be a better leader for Hungary than many expected. After the excessive crackdowns of the post-revolution period, he successively eased much of the oppression felt by the people, famously declaring "who is not against us is with us". He also engineered a unique brand of Communism which incorporated elements of free market economics which was later dubbed "Goulash Communism". Indeed, Hungary was considered one of the "Happiest Barracks" of the Soviet camp right through to 1989 when the Iron Curtain finally cracked - this time irreparably. I am looking for any information on my dad Sandor Bohus he left Hungary in 1956 and arrived in Skegness in January 1957 he travelled with 5 or 6 other friends with only the clothes on his back, my dad is now 78 and has Alzheimer`s As a child my dad never talked about what happen blocked it out only now he is started to talk little bits about what happen, it brings tears to my eyes, I would love to find those friend he travelled with. He was 16 at the time only a child. Hi Wendy could you email me jbognar1973@gmail.com I'm in Doncaster not far from you. Hi Frida, We found a website that might help you in your quest for information: familylinks.icrc.org Hope it can shed some light on your family's past. My father also escaped through Austria and he had a possible name change, he also had a friend that came when we were little and spoke of a vineyard. That is all we know. I have taken a DNA test through Ancestry but no luck finding family. Hi I have also submitted my DNA hoping that something comes of it. As my mother supposedly had 14 or 15 siblings. I am writing a book about my father's escape from Hungary in December 1956 and I am interested to hear from anyone who is a still alive from that era who experienced the transit camps. my email address is jbognar1973@gmail.com My father was from Nagykanizsa. My father, Antal Bencze, fled from Hungary during the revolution along with his brother Gyorgy Bencze. We now live in Fairfield, CT. Looking for any relatives. An Otto Bencze has recently passed away in Wisconsin at age 98. The court has appointed me to find his heirs to provide notice of his death to them as is required by statutes. I believe he was originally from Hungary. Any chance you could be related? I will include my e-mail. Thank you for any information you can provide. I am looking for any family member who might know my mother and the only name I know of hers is Theressaa but she had a sister by the name of Valaria and two broke by he name of Paul and Tony. They fled Hungary and there father fled to Malaysia and there name was Aksman Glosz. I would love to find a family member to the my birth mothers family. My grandfathers name was Paul but I don't know what the birth grandmothers name was as she passed away at the age of 35 from TB. . I have done a DNA hoping to find someone. My mother said he maiden name was Schnee. She said she remembered (now deceased). After a little research schnee not likely. My maiden name was possibly Horvath, so our parents said. Just looking for anything possible - szucs ? My mother had large family. About 12 - 15 siblings. My Brother born as they escaped through Vienna. I wrote a book called "The Eleventh Arrow" Sold on Amazon. launched to coincide with the 60th anniversary of the Hungarian Revolution, which will be remembered on October 23, 2016. The book is based upon a true story of a courageous freedom fighter and his family, who suffered under the Russian communism and escaped, with only the clothes on their backs, to freedom. It’s an important tale of hope and freedom. We will look for your book. Will you be willing to share your experience and thoughts with a middle school student? She's looking for Hungarian to interview for her "National History Day" project on the 1956 Hungarian Uprising. We lived in HU years ago, and I know the country is dear to her heart as a result. This is a national competition and she's taking it very seriously. Most likely she'll be videotaping to create a documentary (or recording a Skype conversation), although it might become a research paper instead. This year's theme is "Taking a Stand" so she is particularly focused on voices of those who took a stand against the Soviets. We realize this is a very difficult subject, but if you are willing to share your own story or to share the story passed on to you, we'd appreciate it. Thanks. The article is well written, reasonable accurate except for dead count, which is over ten thousand. I was one of the leaders, and I will never forget the straggle of the Hungarians for freedom. I too am looking for information about my father, Simon Boros who was a college student in Mosonmagyovar in 1956. I can tell you two good general sources of information that may help you: The Bridge at Andau by James Michener and Refugee Child by Bobbie Kalman. Both give a good overview of life before and during the revolution and how different people escaped. My father come to south Africa 1956 October with the red cross. I am looking for family of Deszo Kónya he was from szoregt his mother was Viktoria maiden name Bordon and father was Andreas Kónya brother was Joseph and Andreas my father was born 1931 he was the youngest. He refused to talked about what happened to them in that time didn't want to learn us the language. I wonder why so many parents didnt want us to speak the language. My father came here in the 50s in the up rise from Hungary to England I'm trying to trace anyone by the family name of moultesz? I was about 9 years old in 1956 when the uprising occured in Hungry, many Hungarians were evacuted to England, I remember a young girl, a vacuee from Hungrey joining my class at school in Portsmouth, her name was Eva Baranaskie maybe spelt differently, my name then was Maria Milmer, She must have had an impact on me at the time as I often wondered what happened to her. I am looking for anyone that knew my father, Zoltan Csaki, he fought in the 1956 revolution and escaped to Australia with my mother and two sisters. I believe he helped in the cutting of Stalins statue down from where it stood in Budapest. I am trying to learn more of my fathers history. I am looking for my Father, unfortuanately I have very little detail, he fled Hungary, and came to the UK, living in London, he worked in Fullers Chocolate Factory Hammersmith W6, and also in a Hungarian restaurant on the Edgeware Road London, He was known as Andrew, but his Hungarian name I have been told would have been either (excuse the spelling as I have no idea how they would have been spelt) Andreas, or Andreche. I know this is a stab in the dark, but thankyou for reading. I'm looking for any information on my grandfather Joseph Pinter. Spelling would probably be different. He was one of the students involved in the uprising. He fled to the UK and then moved to Australia. He never spoke about what happened and has passed away. I would like to find family in hungary if they are still there. Hi, my dad came to Britain in 1956, his name is Istvan David. my dad refused to discuss any events about how and why he had to escape Hungary , he would not teach us the language and never mentioned anything about his family . He once let slip that he had a sister called Maria and often called out to someone called Anna? I have picked up snippets of information along the way but cannot piece anything together, unfortunately my dad died in 1997 and his secrets died with him. I am sure he said that he looked down upon the city of Hungary and that his village began with the letter s, He said he was Greek Orthadox but was not a practising one. The only thing I have of his is his green home office card and that gives me no information apart from his description. I do not know where to start looking to find out more information about him! Does someone recognise the name or is it quite common in Hungary? He was born 14 February 1939. You can go through the consulate who can direct you to family records. They have english speaking staff and many documents can be found there although some records were destroyed but most can be found. Please help, my grandfather was a student in Budapest and fled when his father was arrested. He won't talk about it anymore and so I can't find out much infomation. How important is it that the students got involved? Why did they start it and how did they contribute? Please get back to me, I can't find anything to help me anywhere. I fled November 10th to Austria. later I lived in Hamburg/Germany and later immigrated to the USA. I still remember the fighting in Budapest where I was working. Dead people on the street and the smell that I will never forget. The west was promising help but failed to deliver. Suez was a great opportunity to the Russians to act with utmost brutality. How many people did they deported to the Sovjet Union? I learned a whole lot about the 1956 revolution by visiting your website. I wasn't alive in 1956, but was born on 4 November, so the events of that day stood the strongest to me. I hope that the 1956 revolution does not get lost in the annals of history as it's a very important event that all should remember. I am one of the many fighters in 1956. En jartam a epuletgepeszeti teknikumba, a varba. Looking for some of my classmates. One is Joska Wagner. a nevem Fedak Janos. 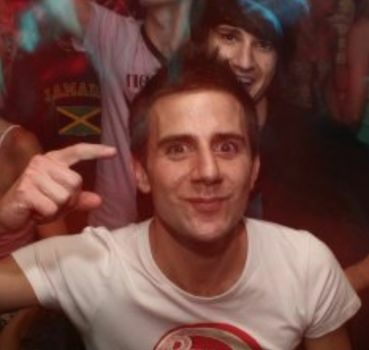 Does anyone know of Gondor Rezso who fled to London after the Budapest uprising. I recently met his great nephew in Transylvania, Romania who would dearly love to trace this branch of his family. My dad ect has been back in 73 no problem .He can even regain citizenship with the new laws as do many Hun-Canadians ect. Christina - I was one of the team taking down the Stalin statue in 1956. I have been back several times, no problems. I live in the usa.MY mother and father left hungary in around 1956.Both my parents have travelled back to hungary since then.There are no problems now.My mother who was 98 years old just passed away, august 5th 2013.I knew alot of hungarians ,i was born in england , my mum knew a lot of hungarians they lived in manchester england then moved to canada.My mum taught me how to speak hungarian, unfortunately now she is deceased i have no one to talk to in hungarian. Can anyone tell me where my family lived in Hungary before the 1956 Revolution. My grandmother, aunt and father fled from the country then. I don't know if Matyasi was the spelling back in Hungary. My grandmother's name was Zsuzsanna, my aunt's is the same spelling and my father's Hungarian name is Ference. I would really like some information on them. I am related to Gergely Pongratz, the one who was considered the leader of the beginning of the protest. My gandpa, Andrew Pongratz, was his baby brother! together, with the help of their other 9 brothers and sisters, they knocked over the Stalin statue. After that and another incident, they all fled to America. only 3 of the siblings are left. thank you for giving this information out to the public! You can check out my great-uncle Gergely's book for his opinion to learn more! I left Budapesty with my father in 1956, it was very interesting time of my life I saw great battles from my window, a russian ran into our building chasing a freedom fighter, he sprayed bullets, me and my father was on the stairs we had to crouch down. to doge the bullets. who are these idiots with their stupid coments on here why don't you delete them. Thank you. My friend & loved one, here with me in Canada, was only 14 years old, when he fought in revolution, & later imprisoned. Lost contact with family. Magyar name :Budai, Imre. He is a unspoken hero. Patricia: your father was a real hero for making the choice to disobey orders. Imagine how many lives were saved by his action? My father was in the Hungarian Army, he was one of the deserters...he told me he was ordered to kill his country men if they tried to cross. He abandoned his post without firing a single shot and went underground and surfaced in Canada. His last name was Fekete. Patricia, is your father still alive? What an incredible story of being willing to take on possible execution in order to stand up to orders and not fire on his own Hungarian people. My middle school aged child is completing her National History Day project on the 1956 uprising. The theme this year is "Taking a Stand." If your father is still alive, would he be willing to share his story with her? Or would you be willing to pass down his story? Thanks for your time. Where is all the information I need to know about the author? and when was this published? My great grandparents escaped with my grandparents in '56 as there name was on lists... There were five of them and they had one suitcase. This page has been very helpful for me to not only understand what they went through before they escaped.. It has also been a great help as I am doing a project on the '56 rev. right now for social studies because I am missing a month of school to be in Hungary right now.. I am very proud to say that I am Hungarian and I hope that never changes. why don't you just tell us about why Khrushchev crushed it?!?!? i just wanted to noe da awnser to dis question: why was the hungarian uprising crushed by the soviet union? The reason why the Russians crushed the 1956 revolt? One very disturbing reason the UK, USA allowed Krushev to take the country, days after waiting for a negative response from both these countries while the USA declared "we are not looking for new alleys in eastern Europe." In other words, go ahead communist and kill the people whom wanted freedom. Eastern Europe was sold to the Russian at the island of Yalta. I loved the page it really helped me but i think it should be mentioned that 30,000 hungarians died and 200,000 attempted to flee to Austria yes i checked the figures. The number of people killed is put around 3000 but it would be hard to verify it. The regime manipulated the research and it is hard to know the exact numbers. Your comment: However, when a Soviet tank fired upon unarmed protesters in Parliament Square on the 25th October the fighting escalated. Erno Gero was forced to resign as First Secretary, with Janos Kadar replacing him. This is totally erroneous. The crowd was sprayed from rooftops by hard line communists or secret service agents and the Soviet tanks tried to protect the demonstrators. This is such a bad mistake that it should be corrected pronto. great article! it was a pleasure to read.